A superbly talented forward, Davis was the master of the unexpected and kicked freakish goals, especially with St Kilda. He was recruited from East Sandringham and was the youngest member (a few days short of his eighteenth birthday) of the 1966 St Kilda premiership side. An excellent mark for his size, Davis had tremendous skill which belied his almost nerveless approach to the game – he once ate a Violet Crumble while on the bench. 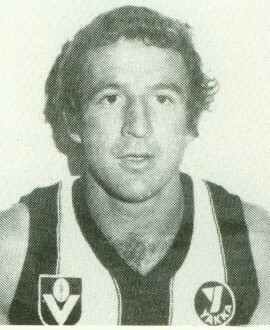 Collingwood was the last of his footballing stops, after St Kilda, Melbourne and Essendon, but he managed only three games for the club in 1980.